Situated in the Southwestern belt of the Nigerian rainforest, Ode Ondo or Ondo City has a population of half a million people, making it one of the largest cities in the state named after it. Its traditional ruler, the Osemawe is a descendant of Oodua, the founding King of Yoruba Kingdoms. The location of Ondo in the middle of Nigeria’s rain forest but with good access to the coast made the city a major transit point to northeast Yoruba land during the era of Yoruba civil war. Its strategic location led to its rapid rise as a conduit for goods from Lagos into Yoruba land, and subsequently attracted Christian missionaries who established the first mission church, St. Stephen’s Oke-Aluko in 1875. The coming of Christian missionaries, many of whom were anglicized Africans, had a lasting impact on the community. First was the establishment of a primary school which trained catechists and teachers, as well as what were then Native Authority clerks. The functional education received in the primary school also led to new commercial ventures such as cocoa and rubber farming, a shift to a measure of cash crop farming. 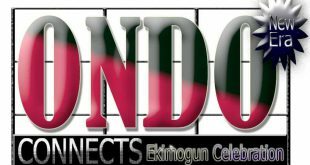 The Ondos also left their community to trade with Europeans in what is called “Eti Odo” (the riverine area adjoining the present Ondo and Ogun states) as retail merchants, representatives of European trading companies, and interpreters to foreign merchants. 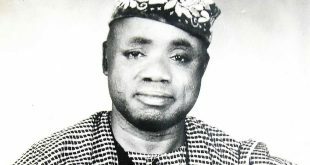 Ondo Traditional Political Organization: Traditional political authority is vested in the King (Oba) who is generally considered the spiritual and political head of the Ondos. He heads the Council of senior chiefs called Eghae; these are (Lisa, Jomu, Odunwo, Sasere, Adaja, and Odofin) who with him make up what is considered a cabinet, referred to in other Yoruba towns as Iwarefa. The Obaship is hereditary, and currently, three ruling families are recognized to produce candidates, one after the other. These are: Okuta, Foyi, and Leyo. The coral beads worn on their wrists and ankles as well as the big drum “ugbaji” which they and a few Ekule Chiefs are entitled to beat during ceremonies distinguish the Eghae. Next in rank to the Eghae are the Ekule Chiefs who are six in number. They are Arogbo, Logbosere, Odofindi, Sagwe, Sara, and Lotuomoba. There are other junior chiefs under the Ekule category. Elegbe Chiefs are third in rank and consist of Ayadi, Orunbato, Sokoti, Gbogi, Luogho, Losare, Lijoka, Lijofi, Loyinmi, Odole, and Saogho. Most of the ward chiefs in the city report directly to Elegbe principal chiefs named above. Elegbes under Ayadi performed security functions. There are other chiefs under the 15 Elegbe Chiefs such as Yegbata, Bafan, Lomafe, etc. Apart from these chiefs, there are also chiefs for spiritual duties called alarowo. They are Sora and Akunnara, who are Oramfe priests. Apart from male chiefs, there are also women chiefs headed by Lobun (female King) who is in charge of the community market and who has an important ritual function in the crowning of a new King. 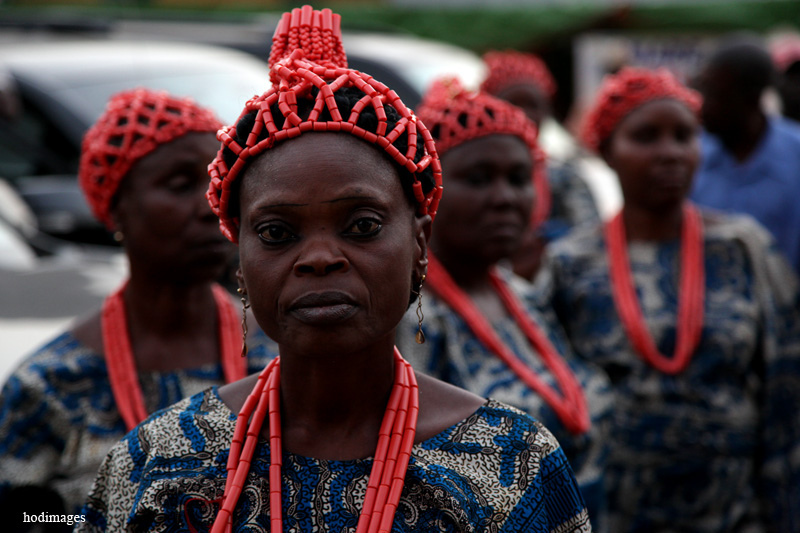 Ondo is one of few Yoruba kingdoms with a tradition of female kings. Indeed, Ondo’s first king, Pupupu, was female, thus making Ondo city one of the few spots with age-old traditions of gender diarchy or balance of power. Other female chiefs are Lisa-Lobun, Jomu-Lobun, Orangun-Lobun, Sasere-Lobun and Adafin. Other lesser grade female chiefs are Odofin-Lobun, Ogede-Lobun, Sama-Lobun and Awoye-Lobun. The Eghae selects Lobun while other women high chiefs select their colleagues whenever a vacancy occurs. The female king is a principal character in the coronation of a new king in Ondo. 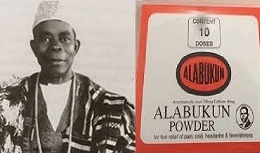 Although colonial rule and successor independent governments have eroded the traditional authority of the Oba and his chiefs, nevertheless the Oba is still highly regarded as representing the collective identity of Ondo people, an intercessor between his people and government, and the custodian of Ondo culture and tradition. These traditions are enacted and reaffirmed through such ceremonies as Odun Oba, Oramfe, Ogun, and the modern Ekimogun Day celebration. 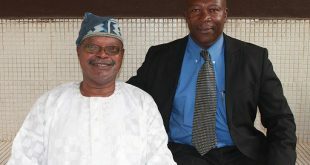 Modern government in Ondo follows the same pattern as in all parts of the Nigerian Federation. The federal constitution, notwithstanding the peculiarities of Nigeria’s ethnic groups, decreed a uniform local government with elected chairmen and councilors. There is no constitutional or statutory relationship between the local government and the traditional system of governance although the court in the Oba’s Palace still serves as the preferred court of first instance in civil cases. Ondo Economy: Most Ondos are farmers producing cash (cocoa, rubber, and timber) and food crops (yam, plantain, cassava, and palm produce). Local indigenes as well as non-Yoruba transient migrants who sell clothing and household products engage in retailing. A service sector consisting of building construction, motor servicing, and furniture making is also prominent. There is an emerging phone and Internet service that connects Ondo to other parts of Nigeria and the world. There are also a few manufacturing or industrial plants such as wood processing, stone crushing, cocoa beans processing, and paper products. Ondo has a few commercial banks, four of which are branches of nationwide banks while the others are community banks. There are also four hotels and a large market situated in the centre of the city. Investment Climate: Ondo provides a favorable environment for internal and external investment. It is rich in agricultural resources and thus a viable site for agricultural industries. It is only a few miles from the major centers of bitumen deposit and the proposed seaport and free trade zone between Ondo and Ogun states. It is also a city that is well endowed with modern real estate. In addition to a viable internal population, Ondo has a network of roads that link the city to major population centers such as Lagos, Ibadan, Akure, Benin, Ijebu-Ode, Warri, Asaba, and Onitsha. Religious pluralism and tolerance of plurality are abiding aspects of Ondo traditional culture.